The left’s hatred of the Bush administration is no secret. Our mainstream media lined up against him long ago and have shown utter disdain for anything positive in regards to Bush. Recent news headlines showed their hate continues. We all saw the headlines last week, as our media lined up saying once again how Bush lied about Saddam’s Hussein’s ties to Al Qaeda. From the New York Times we saw, Study Finds No Qaeda Hussein Tie. Fox News said, Pentagon Study of 600,000 Iraqi Documents Finds No Link Between Al Qaeda and Saddam Hussein. McLatchy Newspapers reported, Exhaustive review finds no link between Saddam and al Qaida. The Washington Post was a bit more benevolent with, Study Discounts Hussein, Al-Qaeda Link. CNN treated us to, Hussein's Iraq and al Qaeda not linked, Pentagon says. ABC declared, No link between Saddam and Al Qaeda: Pentagon. Once the declassified portion of the report was made public, The Weekly Standard’s Stephen Hayes wrote, Saddam's Dangerous Friends, What a Pentagon review of 600,000 Iraqi documents tells us, outlining extensive ties to terrorists and organizations loosely and directly affiliated with Al Qaeda and much more. The Iraqi Perspectives Project (IPP) review of captured Iraqi documents uncovered strong evidence that links the regime of Saddam Hussein to regional and global terrorism. Despite their incompatible long-term goals, many terrorist movements and Saddam found a common enemy in the United States. At times these organizations worked together, trading access for capability. In the period after the 1991 Gulf War, the regime of Saddam Hussein supported a complex and increasingly disparate mix of pan-Arab revolutionary causes and emerging pan-Islamic radical movements. The relationship between Iraq and forces of pan-Arab socialism was well known and was in fact one of the defining qualities of the Ba'ath movement. 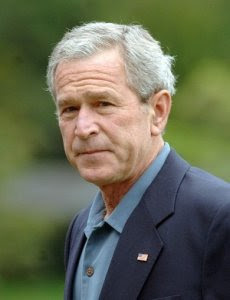 Clearly, President Bush and members of his administration did not lie and after the horrific attacks of September 11, 2001, it would have been utterly irresponsible to have ignored the possibility of those ties to terrorists resulting in terrorists obtaining what the entire world reported Saddam held. Most distressing and despicable, in this writer’s opinion, is the irresponsible reporting of events and findings as this by our media in their effort to undermine a sitting president and a successful execution of a very necessary battle against terror in Iraq or elsewhere. As imperfect as he is and in spite of mistakes made, he deserves credit for finally facing up to terrorists and tackling them head-on, instead of assuming they'll just stop. It cannot be forgotten that ever since we were blind-sided that early September morning, terrorists have not succeeded in attacking American again. Former enemies have stated that the discord they saw within the country is what led them to hang on and wear American will down to defeat America and spread communism. Today’s enemy sees that same discord once again and realizes all they need do is continue inflicting American casualties to wear down public opinion and win, enslaving Iraqi’s and Afghani’s in something much worse that communism, that will spread to our shores again. Our Troops fighting over there to give Middle Eastern Muslims a chance to form a free society and to keep terrorists from our shores deserve better then to have our media supporting our enemies, either directly or indirectly. Muslims can never obtain liberty while they remain Muslims. Islam is slavery to Allah. Shrub's strategic objective is the Acme of cognitive dissonance. No form of government will stop Muslims from engaging in terror campaigns. Terror campaigns are an intrinsic function of Islam. To understand that fact, one needs to read 2:216, 8:12, 8:39, 8:60, 8:67, 9:29, 33:26-27 & 59:2. Those too lazy to read the Qur'an will never understand the motivation behind terrorism. To Islam, we are rebels against Allah, to be punished with torment in this world and the next. Punishing us in this world is their hope of escaping Hellfire and earning admission to the celestial bordello. It makes no difference if they are governed by a King, prince, Potentate, Caliph or Majlis. If they are Muslims, and they have sufficient men and material, they will engage in aggression. There is no other possibility. Solving the problem of Islamic aggression requires the elimination of Islam. Nothing less will suffice. Shrub can not accept that objective factual reality. As a result, he is wasting blood and treasure. Sorry Ben, but this has nothing to do with the religion of Islam. I understand the fear of Islam, given over 30 years of terrorist attacks, but I remind you that thousands of Muslims have joined our side in fighting terrorists. Islam comprises one fifth of the world's population, you will not eleminate them. As for the Qur'an, I own a copy and have had one for several years. I've also corresponded with Islamic Scholars for clarification of some passages. I do not rely on a Baptist to explain the beliefs of a Catholic any more than those who fear and hate Islam to explain the Qur'an. Many claims made against Muslims can be also found within our own Bibles and miscontrued easily by those who don't understand our Bible. I won't quote them for you at this time, but will if need be. I'll simply close by saying, we are currently asking and encouraging Muslims worldwide to take a stand aganst radical Jihadists. How do we accomplish that when many among us advocate their elemination, just as the terrorists claim we endeavor to do? We aren't in this fight alone and only a Muslim can blend in with radical Jihadists to discover their plans. And, for that they should receive disdain? Makes one wonder why the administration attempted to suppress the Pentagon report. Makes one wonder why ignorant moonbats completely ignore plain english. Well, at least you were not disingenuous enough to deny that the Bush Administration attempted to support the report. On the other hand you did not explain why there was such an attempt. And you, wacky, didn't show where he did try to suppress it. 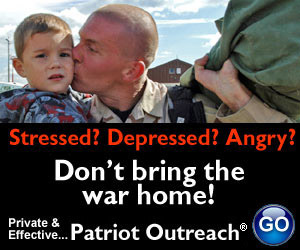 Be sure to watch Frontline - Bush's War on PBS Monday and Tuesday nights at 9:00 pm. LOL, wacky. Misleading headlines to misleading TV? I still have that ocean front property in Oklahoma to sell you, son. Just watch the program. Then you may comment or critique. But sticking your head in the sand is the type of thinking that got us in our current predicament. 4,000 and counting with no end in sight. You really need to wake up, son. PBS is as far left as they come, but you know that. Every investigation they have held has said Bush did not lie. At worst, he was lied to. Hate to tell you, but even PBS admit's this "documentary" is heavily based on previously broadcast propaganda. I wonder if they will cover Germany's involvement in the pre-war intelligence, this time? You really need to get out more, wacky. Your brain seems to be atrophying. But, hang on to your BDS and hate and old news that has been disproven several times. "PBS is as far left as they come..."
Still seeing those boogeymen under your bed, old man? That is he funniest thng I've ever read from one of you moonbats. Uh, son, you boys and girls been seeing and crying about the proverbial "boogyman" for a bit over 7 years now!!!!!!!!!! Why watch Frontline when you can spend the valuable time looking for WMDs. Why read exhaustive reports when you can always fall back on your BDS? You really should read the report, wacky, not the headlines of fellow BDS infected moonbat liberal media.